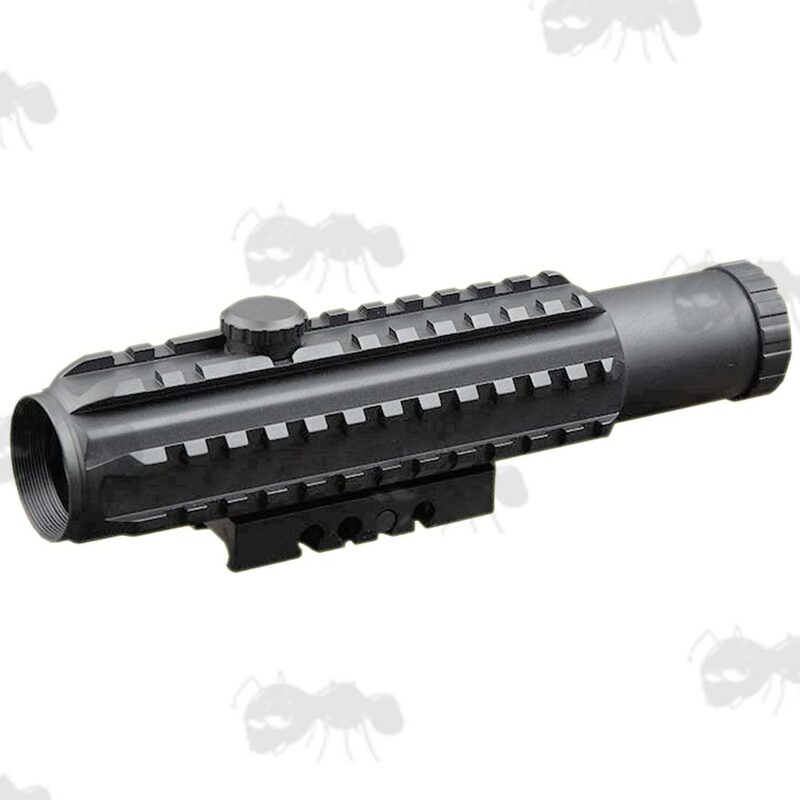 Suitable for rifles, airguns and airsoft guns. 4 x magnification with 28mm objective lens. 8 inches / 200mm long. Weighs approx ~ 395 grams. Fast focus eyepiece for crosshair focusing. 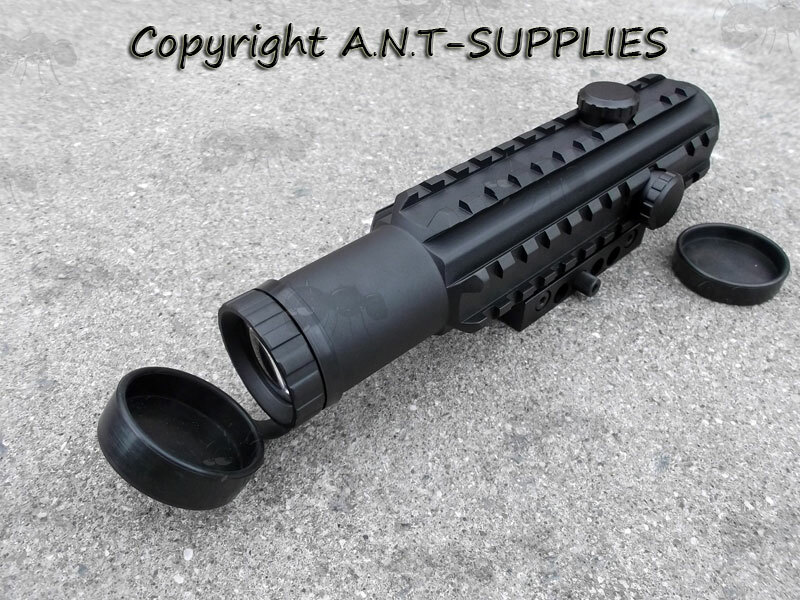 32mm diameter matte one piece black body tube with focus eyepiece. Waterproof, shockproof and fogproof, nitrogen gas filled. Windage and elevation turrets ~ 1 click equals ¼ inch adjustment at 100 yards. Eye relief ~ between 2.5 to 4.5 inches. Cleaning cloth and rubber lens caps included with each scope. 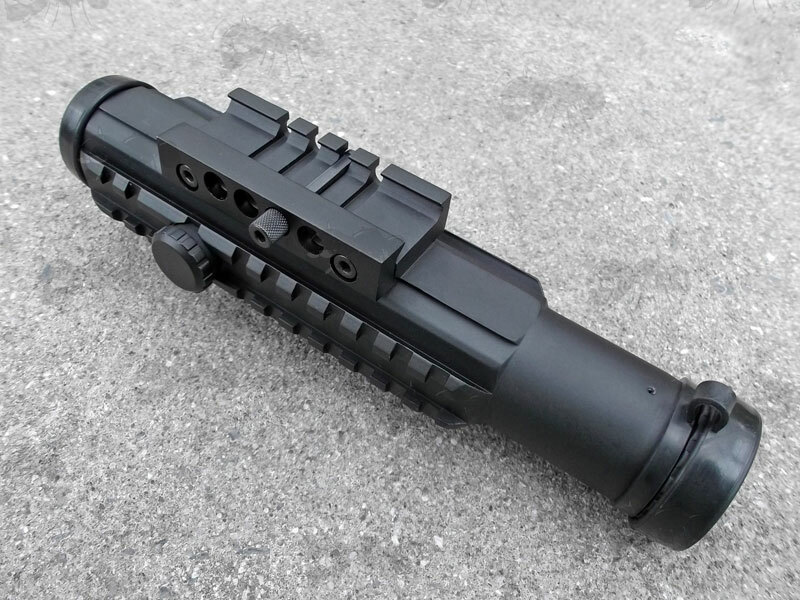 With integrated tri-rail body and weaver / picatinny rail mount.